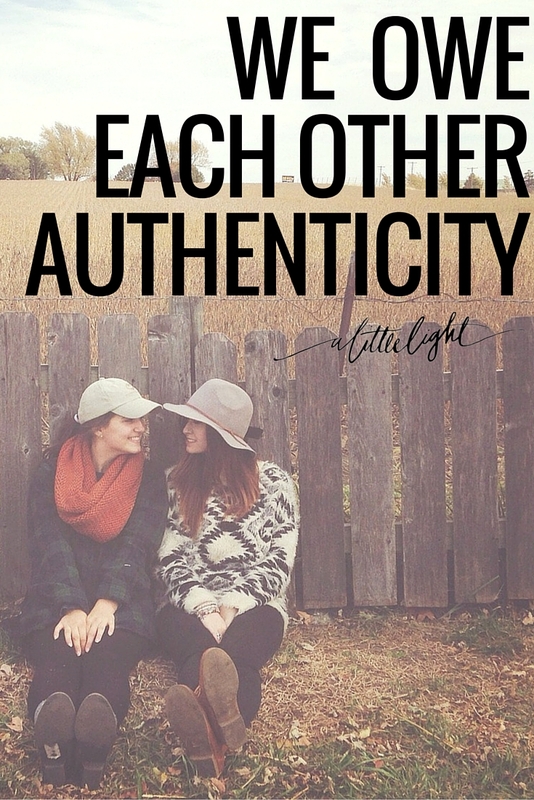 We’ve spent the month talking about authenticity. It is what allows our relationships to deepen, allows for meaningful intimacy and ultimately lets us shine with the light of Jesus – the one who has authenticated us. When I had my second child I felt like there was a wet blanket over my life snuffing out the light. It was less about my daughter and more about the confrontations between my heart and my head that I was suddenly facing. I was leaving my career, mom to two kids under two – one of them had health problems, my marriage was strained and I felt so lost and anxious. I was spending a lot of time finding solace in the community I found online and started reading some posts by Stephanie Moors about the importance of being yourself. Words I had heard all my life until they were in the context of being who God made me to be, all the good and all the bad, because he will use every part of it. If I hold it back, hold myself back, then I am God’s tool being used at half capacity. If I’m honest I struggle to be who God made me because there are parts that I don’t like. I get complacent, stubborn, awkward and might burst into song at random. I also struggle with letting my children, husband and friends be who God made them to be – because I had this big character profile secretly built up in my mind on what they ought to be. I’m realizing that it is impossible to really love someone with the love of God if you don’t love them the way God made them. So much of our lives is spent trying to put on the facade that we are calm, capable, happy and successful. I call it ‘the gloss’. Wherever we feel imperfect and lacking, like there is a big gaping hole – we fill it with the gloss of inauthenticity. We post the right pictures, say and write the right things, wear the right clothes, do the right things, and make our whole family miserable with paleo pâtés . We do everything to the standard of someone else rather than the way God made us to do it. God made me to love cheese more than a ball of spiced bean mush; to wear sensible shoes rather than heels; to be better at communicating in print than face to face (pause break to burst into song); to have a total momlife instafeed rather than clean crisp photos of macaroons parties. Like, who really likes macaroons that much?! This gloss puts a veneer around our true self and doesn’t allow us to be intimate with others or with God. It is also a problem for our fellow sisters. When we are projecting a life covered in ‘the gloss’ we aren’t showing our scratches and fractures to each other, so our sisters might think we don’t have any. They run out to buy the biggest gallon of gloss they can find to cover up their own flaws and oddities. It’s a cycle we all play a part in. More gloss for you, more gloss for me. 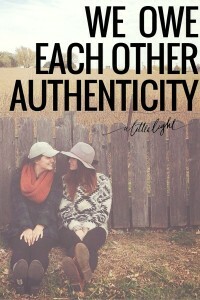 We owe each other authenticity. We owe each other some of our messy because God made us this way to use us this way. We need to make a safe space for others to be themselves. We need to be bold and humble and let ourselves be seen by one another. We need grace for each other, humility for ourselves and we need to let God do all his good work in our imperfect hearts and imperfect lives. Because God is a big fan of imperfect . . . . he uses imperfect for His glory. The Bible is full of him using adulterers, liars, drunks, doubters, murderers, prostitutes, worriers, playboys, beauty queens, bigots, and thieves. He uses the day dreamers, the old, the ugly, the abused, the abandoned, the striver, the shamed, the slacker, the bankrupt, the proud, the lost. He uses you and me and we need to just be ourselves and let others be themselves so God can be God in our lives. 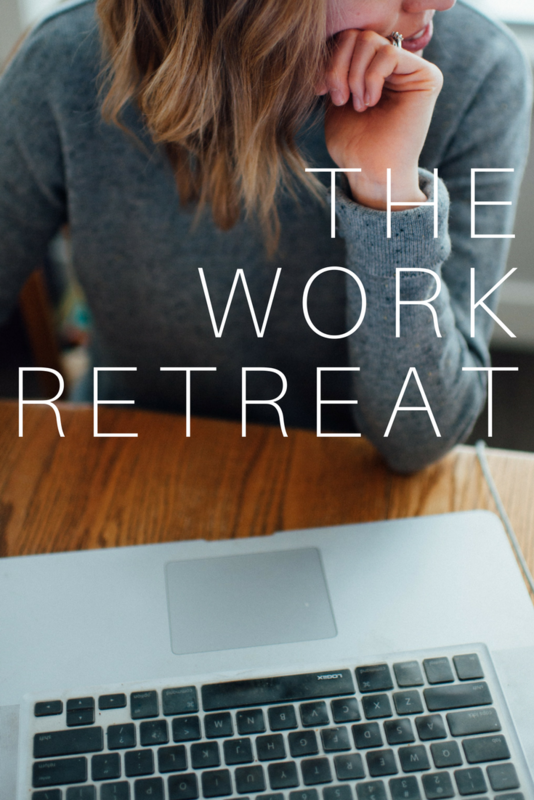 A Little Light is a community of Canadian Christian women looking to use their online platforms and social media with passion and purpose, to glorify God. Follow us on Pinterest!